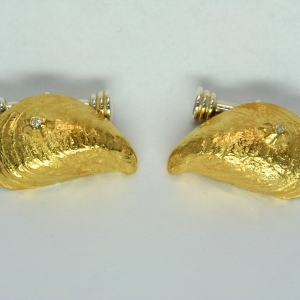 Home / Shop / Cufflinks / Lough Hyne Mussel Cufflinks with Diamond set Barnacle. Gold Plated. 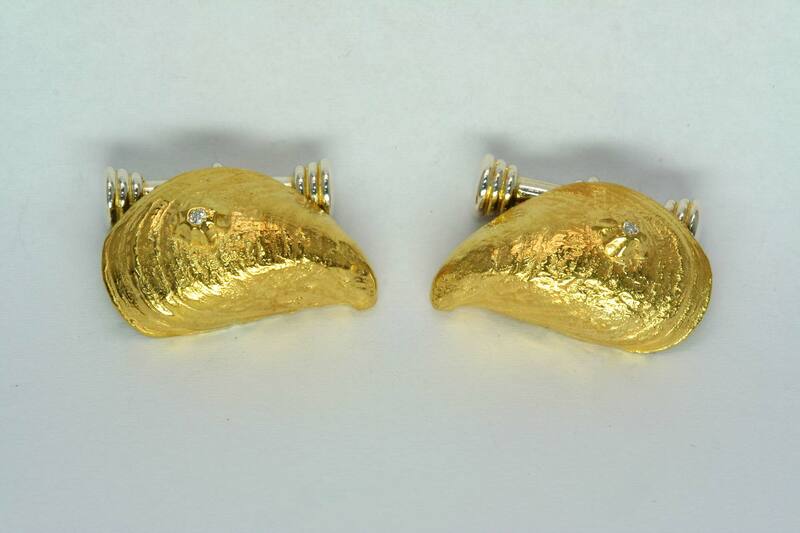 Lough Hyne Mussel Cufflinks with Diamond set Barnacle. Gold Plated. Sterling silver Lough Hyne mussel cuff-links with diamond set barnacle. 2.5cm each. 1.6mm diamonds. Gold Plated.